Until we see Intels upcoming CPU it will take some time. Never the less ASUS has already sent aus a Sabertooth Z77 board which builds upon Intels latest performance desktop chipset. Typical for motherboards from the Sabertooth series is that it comes with a lot of features especially designed for stability and durability. For example you get the Thermal Armor and the Thermal Shield. 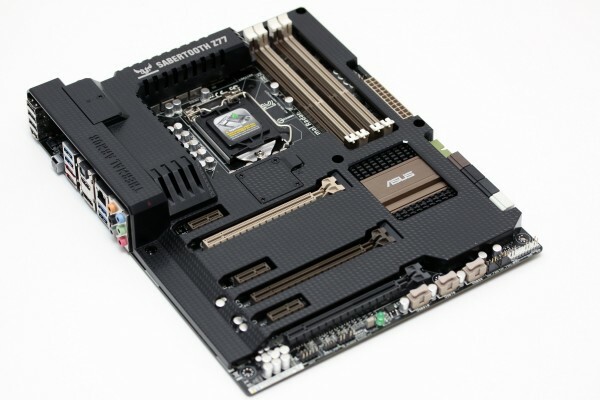 The Sabertooth Z77 belongs to ASUS' TUF-series motherboards regarding which the manufacturer focuses on the boards durability. As always we're very curious what this thing is capable of from a layout and design perspective.